(Seychelles News Agency) - Seychelles is seeking international assistance to help the country move another step further to generate electricity from natural gas. 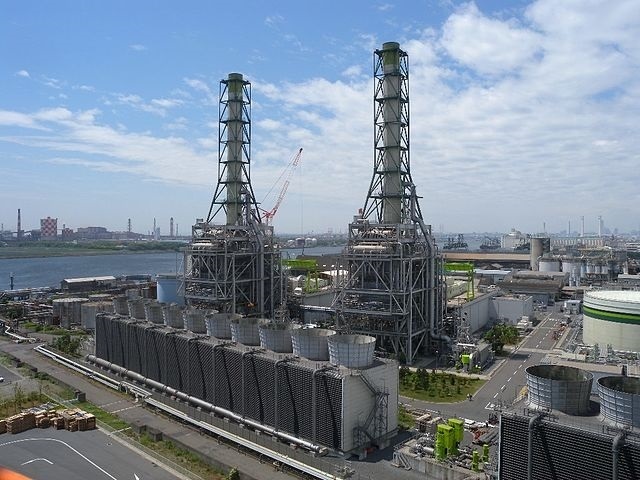 Preliminary discussions have started for a project to build a liquefied natural gas power plant to generate electricity locally. An economic adviser to President Danny Faure, Bertrand Belle, chaired the first meeting with key partners as three experts from the International Finance Corporation (IFC), a branch of the World Bank Group, visited the island nation. “The meeting was an introductory one between the IFC – who will be advising the government on the process of moving from where we are now, to a position whereby we have electricity being produced by combustion of LNG (liquified natural gas). And with as little as possible investment being made directly by the government – as well as the various arms of government who will be directly involved in the development of the framework — which will allow this project to happen,” Belle told SNA last Friday. The meeting was held in Victoria at the Liberty House, the headquarters of the Ministry of Finance, Trade, Investment and Economic Planning. The three experts – principal industry specialist for global gas and LNG Thyl Kint, principal investment officer for infrastructure and natural resources Soumya Banerjee and Servant Bleindou from the advisory service in public and private partnership — made presentations on how Seychelles as a small country can better carry out the project. The project which got the go-ahead following its approval by the Cabinet of Ministers in June is aimed at replacing the use of heavy fuel oil with liquefied natural gas (LNG), as it is more feasible, taking into account the growing electricity consumption in the country. Natural gas is mainly converted to LNG for transport over the seas where laying of pipelines is not feasible technically and economically. Principal Secretary for Energy and Climate Change Wills Agricole said this new project will bring many benefits to Seychelles – a nation of 115 islands in the western Indian Ocean. “Seychelles has been actively exploring how it can reduce electricity prices and enhance its energy security. This has led to a serious consideration for Seychelles to switch from relying on heavy fuel oil (HFO) to liquified natural gas (LNG), which is cleaner and less expensive thus making electricity tariffs more affordable to domestic and business consumers alike,” said Agricole. The International Finance Corporation experts also highlighted the many advantages of such projects and how the country will benefit, in terms of money saving. The corporation is also offering their expertise as one of the potential candidates for the project. The International Finance Corporation is an international financial institution that offers investment, advisory, and asset management services to encourage private-sector development in developing countries. It is a member of the World Bank Group and is headquartered in Washington, D.C. The corporation was established in 1956, as the private-sector arm of the World Bank Group, to advance economic development by investing in for-profit and commercial projects for poverty reduction and promoting development. According to Belle, once the setup is done, and the necessary criteria to evaluate bids have been established, the government will start the tendering process.